With over 25 years of experience in commercial title insurance, Michael J. Moore, vice president and counsel and Florida sales manager with First American Title National Commercial Services, has had a front row seat for many cyber security issues throughout his career. He has also served on the Executive Counsel of the Florida Bar’s Real Property, Probate and Trust Law section, and he has presented a variety of continuing legal education seminars to Florida bar members during his two decades of service in the industry. Question: What types of cyber fraud affect title insurance the most? Wire fraud is now clearly the most pervasive fraud scheme from the perspective of real estate professionals, and the stats back this up. According to the FBI’s Internet Crime Complaint Center (IC3) 2017 Internet Crime Report, only California had a larger number of victims of cyber fraud than Florida, which had a total of 21,887. While wire fraud started out as a significant threat in residential real estate transactions, the fraudsters now increasingly target commercial transactions and the parties involved in commercial real estate deals. The fraudsters are attracted to commercial transactions because of the larger dollar amounts involved. With wire fraud, fraudsters usually try to trick the buyer, the broker or the title agent/closer into transferring proceeds into the fraudsters’ account(s). For example, the fraudster might pose as an executive officer of the selling entity in a commercial real estate transaction and send a spoofed email to the closing attorney with wire instructions directing the sales proceeds into the fraudster’s account(s). Question: What are ways that commercial real estate companies can protect themselves and remain vigilant? Always carefully examine the email address from which you receive updates on your transaction from your broker, attorney, escrow officer or settlement agent to verify it is correct. If an email seems suspicious, notify your attorney or settlement agent immediately. Call instead of email. But, be sure to use the phone number on the broker, attorney, escrow officer or settlement agent’s official website or business card. Don't trust the phone number included in the email. Be suspicious of any requested change to wiring instructions. It's highly unusual for your title or escrow company to request any last-minute changes. Confirm the account before sending. Ask your bank to verify the account information before sending funds via a wire transfer. Verify funds immediately. Call your title or escrow company to verify the funds have been received. Question: Are there different threats or increased cyber fraud threats in Florida? Florida typically experiences a higher than average incidence of mortgage fraud and other types of real estate transaction fraud, forgeries, etc. So, it is not surprising that cyber and wire fraud is prevalent in Florida. In fact, Florida ranks second (behind California) in number of victims and third (behind California and Texas) in both number of victims and amount of victims’ loss respectively in 2017 for cyber fraud, including wire fraud, according to the FBI IC3 2017 Internet Crime Report. The high volume of victims is likely a reflection of the larger volume of business and real estate transactions here in Florida as compared with most other states, so there is just an abundance of opportunity for fraudsters. Question: Does First American Title National Commercial Services provide training to its employees regarding wire fraud and cyber fraud? Yes, we do. First American Title is committed to combating wire and cyber fraud and provides extensive tools and training on cyber fraud and security. Question: Wire fraud is real and scary. What are some basic steps that professionals involved in commercial real estate can take to protect themselves? In this era of rising cyber and wire fraud, it is more important than ever for commercial real estate investors and lenders to choose their title insurance and closing partner carefully. Look for companies offering in-depth training, robust resources and state-of-the-art technology because many companies simply do not possess the appropriate preventative measures. Work with a premier national commercial closing partner, like First American Title National Commercial Services, so you have peace of mind your commercial transaction disbursements and closings will be handled by highly trained escrow and closing officers using top-quality technology. All the moving parts leading up to the culmination of a commercial real estate closing creates more fertile ground for the fraudsters. We all need to work proactively together to ensure accuracy and attention to detail in the accounting of the deal – closing statement, disbursement, etc. Beyond that, communicate often and ensure all involved parties are aware to the highest extent. Yet, be extremely cautious with email communications. 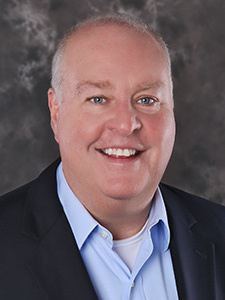 Michael J. Moore (“Mike”) serves as Vice President, Counsel and Florida Sales Manager for First American Title Insurance Company’s National Commercial Services operations in Florida. Mike is responsible for the division’s commercial title sales in the Florida market. Mike also sells directly to major real estate customers and large law firm agents throughout the state; strategically advancing their business objectives and aligning the Florida service teams to best manage clients’ commercial real estate transactions. Mike previously served as First American Title’s Florida State Manager from 2008 through mid-2016 where he planned and lead the successful consolidation of all operations within Florida. He initially joined the company in 2003 as Commercial Services Division Manager and Counsel for The Talon Group – a division of First American Title Insurance Company. Under Mike’s leadership, his Talon Commercial Services operations grew to be the most profitable commercial operation in the Talon division from 2003-2007. His 26 years in the commercial title insurance arena include significant management and legal department posts. Prior to joining First American, Mike served as vice president and national commercial services manager for another major national title insurer for 5 years. He also served in various regional underwriting counsel roles for the same company from 1992 – 1998. In addition, Mike’s experience at that company included serving as vice president and counsel for their national 1031 exchange company. Mike is an AV-rated member of the Florida Bar and has served on the Executive Council of the bar’s Real Property, Probate and Trust Law Section. He has developed and presented a variety of continuing legal education seminars for Florida bar members in the past. His prior seminars covered the 2003/2004 ALTA revised title policy endorsements, Florida Construction Lien Law, legal ethics, advanced sovereign lands and water-related real property title issues, an extensive overview of the state’s title insurance regulations set forth in Florida Administrative Code Chapter 4-186, and advanced title insurance issues and coverages available in the context of multi-state, securitized commercial real property transactions. Mike earned a degree in public relations from the University of Florida and attended the Stetson University College of Law where he was a published Editorial Board member of the Stetson Law Review.